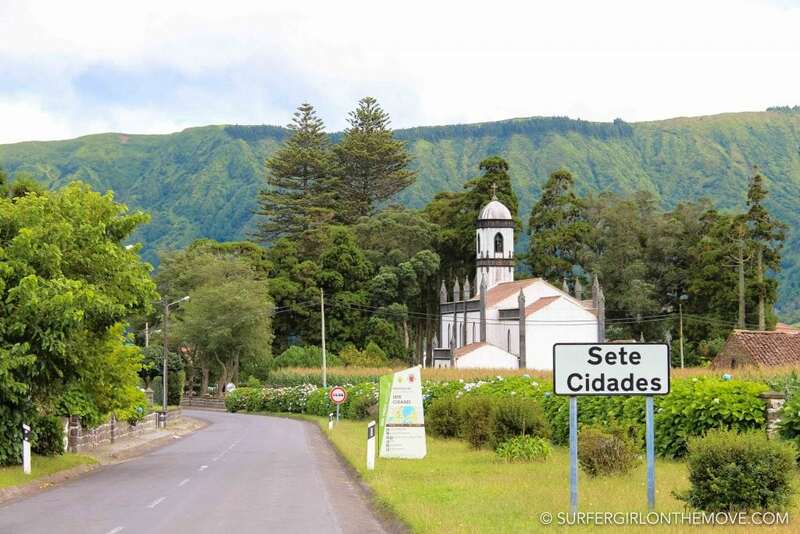 In the center of the island of São Miguel, the Sete Cidades Lake is a dream place and one of my favorites of the entire archipelago of the Azores. Just a first glance from the King’s Viewpoint over the volcanic crater, where the Green and the Blue Lagoons were formed, and soon you’ll be in love with the landscape. 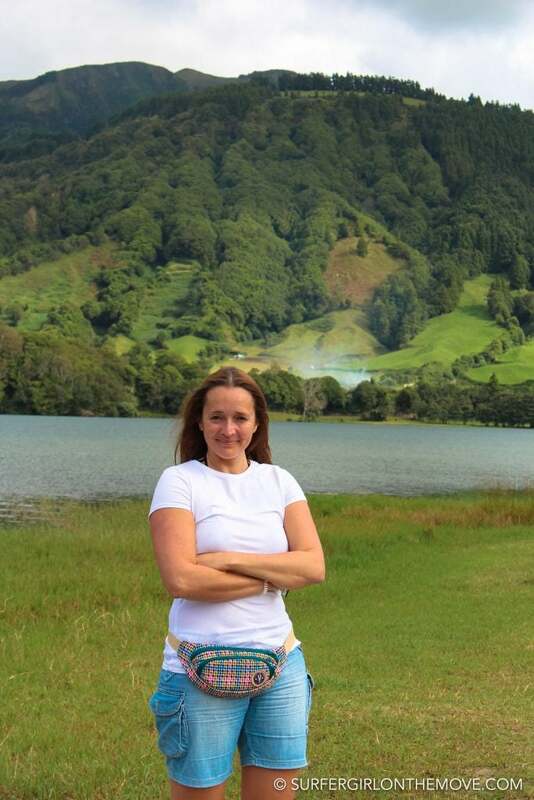 My first trip to São Miguel was an amazing discovery. For years I was told that I had to get to Azores, I didn’t know what I was missing, but I always disbelieved and despised our archipelago. And as soon as I saw the Sete Cidades Lake I just wanted to slap myself. 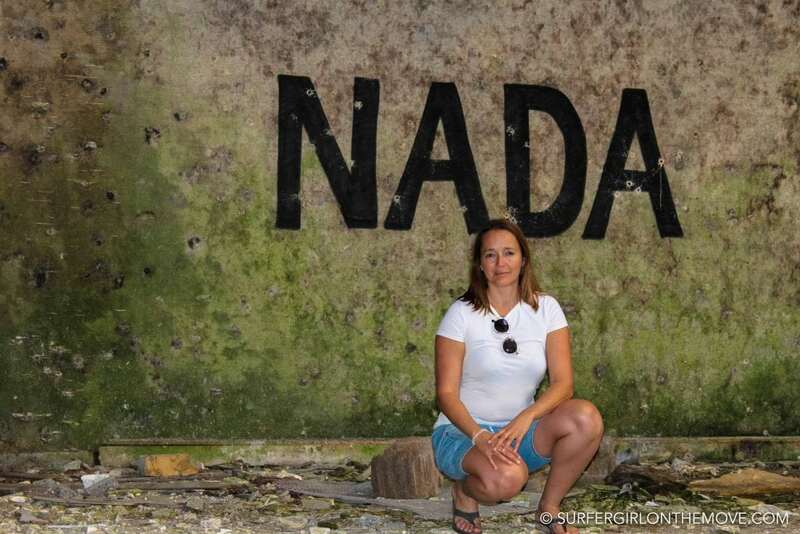 We began the discovery of this piece of the island by the old abandoned hotel, right by the viewpoint. Someone one day thought of building a large hotel there, but due to lack of resources or other reasons beyond me, the structure was abandoned. Today we can enter inside, go through the rooms given to the decay of time, climb the stairs that once were dreamed full of people and feel some of the carpet that was laid there. It’s no man’s land, but also the place of everyone who wants to enter there. No need to check-in or worry about check-out time. 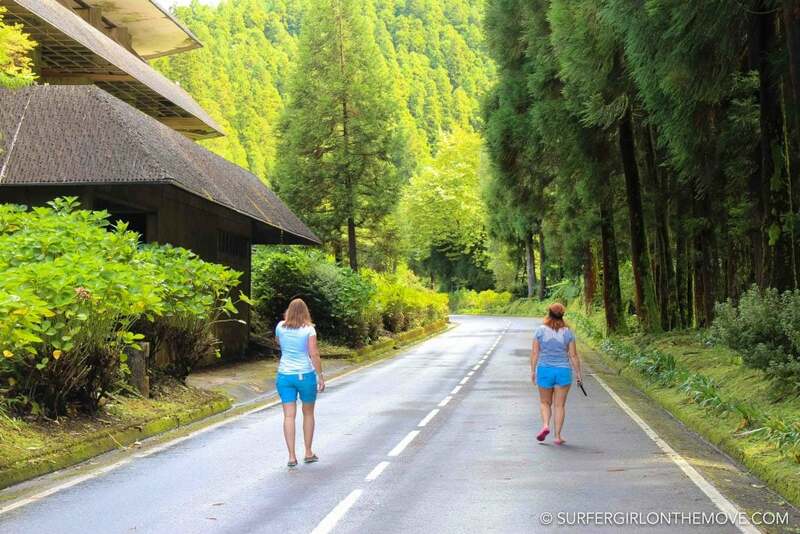 The next step was to descend to Sete Cidades, the small town that stands in the middle of the crater. A small, quiet village full of tradition. The Church of St. Nicholas was one of the most beautiful I have ever seen. We didn’t go in, but the architecture framed by the trees and all the green of that place, makes this building of the 19th century even more special. And then, we went on to discover the banks of the lagoons, all the fauna and flora, all the charms and nooks, in a remarkable walk. 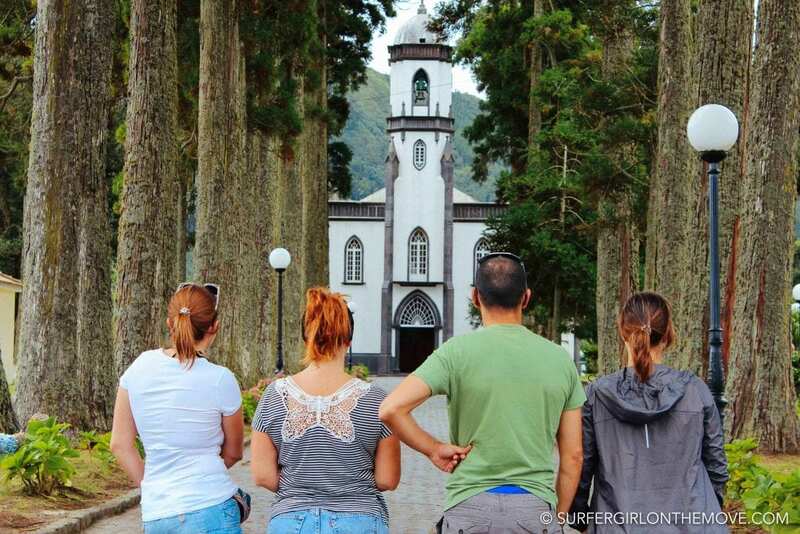 Thinking about visiting São Miguel? Check out some of the available accommodations in the link below. 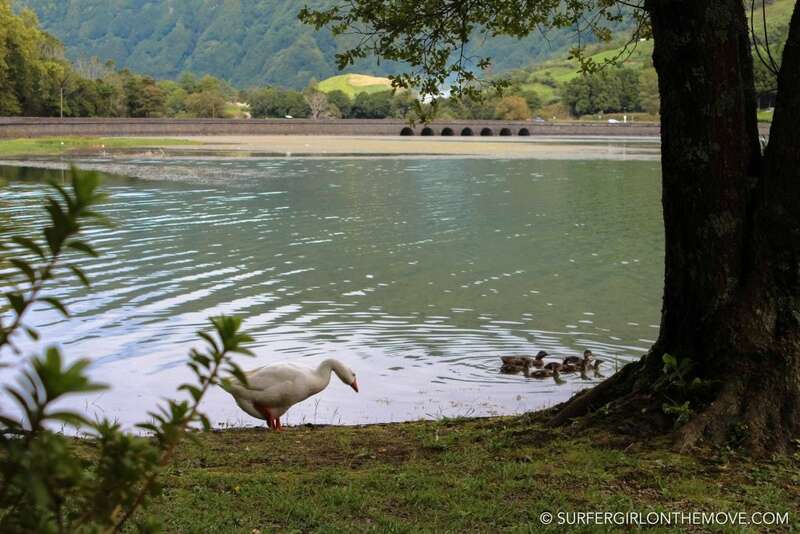 What do you think about Sete Cidades Lake? Have you ever visit the place? Share your opinion in the comment box below. This is irrelevant, but you look a little bit like Maya Rudolph! And I mean that in the best possible way! Good for you! But really, this is such a beautiful post. 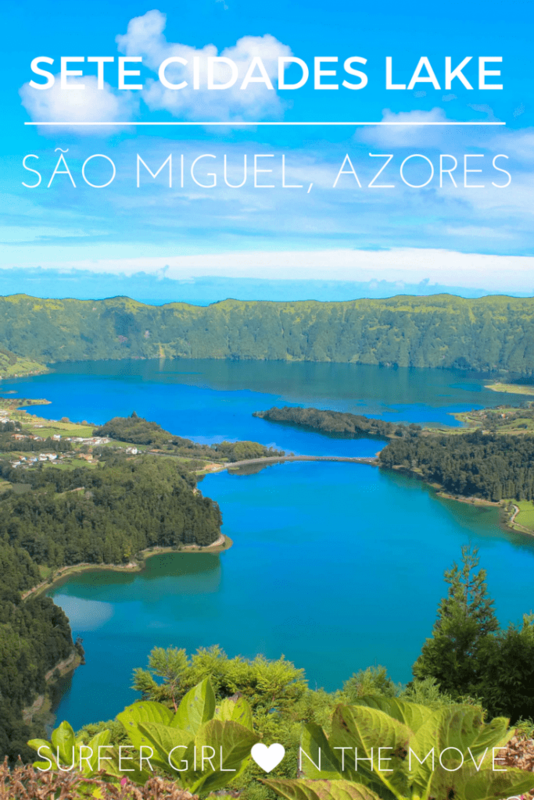 I will have to do some research into Sao Miguel and it might just be a new addition to my bucket list! Good post! Ahahah! I’ll really take it as a compliment. 😉 Thank you! Make sure you check out the island. I bet you’ll love it! The vistas from the King’s View are absolutely stunning. The hotel abandoned sounds weird, hope you could dig out some dark secrets, we are intrigued. 🙂 The Church of St. Nicholas and the banks of the lagoons are so beautiful and peaceful you must have had a great time. We did had a great time! The hotel sounds creepy and it’s kind of a weird place to visit, but once you climb to the upper floor and look at that view from one of the abandon rooms, I guess you’re not scared of the place at all. Wow how beautiful! I’d love to go to Portugal, and pictured it with more of a desert look- it looks like there are actually a few different types of climates! 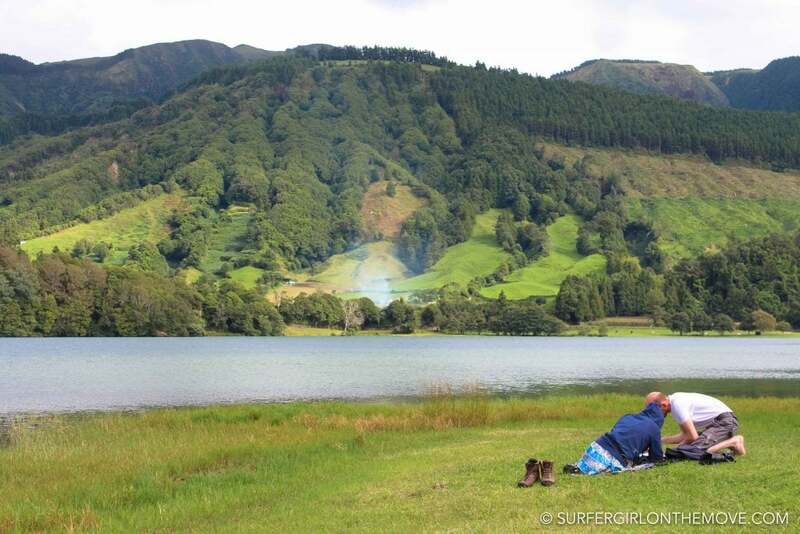 I have heard wonderful things about the Azores. I hope I can make it there one day. Your post made me even more keen on going there. Oh my GOODNESS GRACIOUS. 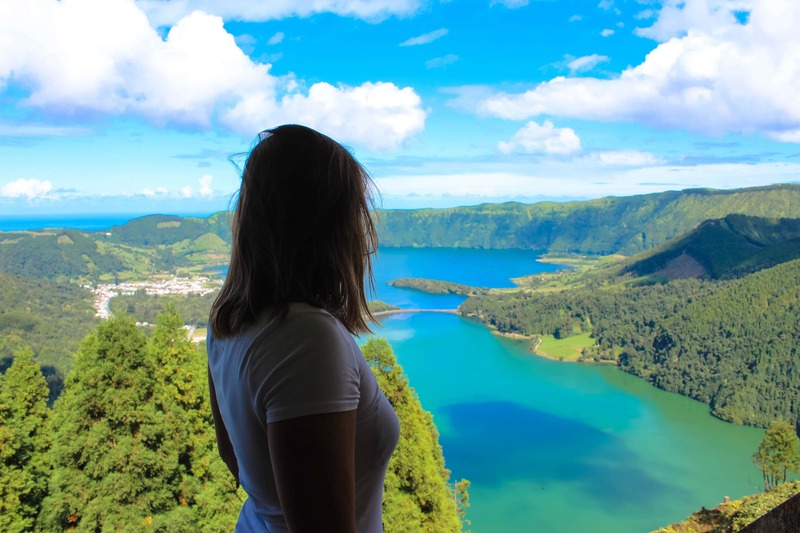 The Azores have been on my list for a while since they’re such an easy flight from Boston, but these photos are making me want to slap myself, too, and buy a ticket right now! STUNNING. Incredible! It looks so untouched! Your pictures are gorgeous! We’d love to go back to Portugal! 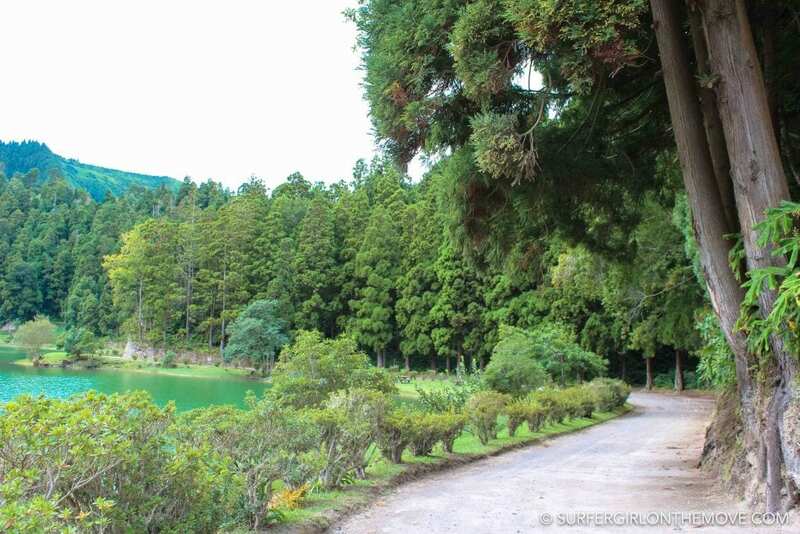 The Sete Cidades Lake looks ethereal, literally as if it has fallen from the heavens. The entire place has a fairytale aura around it. The abandoned hotel with its aura of intrigue is in sharp contrast to the pristine beauty of its surroundings. This looks and sounds like an amazing place to visit! I love how you said you just had to slap yourself :). Beautiful place! Portugal is still a dream for me. Hopefully soon I can visit it and Spain too! 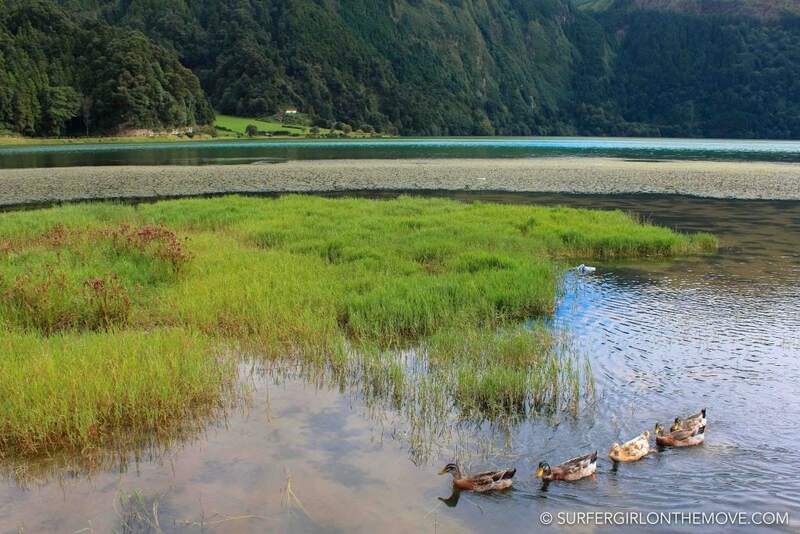 Sete Cidades Lake looks incredibly surreal! The first picture looks like a postcard!The view from the King’s Point is breathtaking. I’d love to visit there! It’s a dream place, heavenly beautiful . The landscape is awesome. You have captured it amazingly. Loved you pictures. I never knew about this place, Thanks for the post! Sounds like a dreamy adventurous place. Wonder why the plan for hotel was abandoned! It would have functioned profitably forsure. The greenery all around makes it so dream worthy. Hopefully I can make it there some day. wow, that’s bluest of the blues I have ever seen! I had never even heard of it before but now I must visit it someday.I’d also love to hike up those green hills. 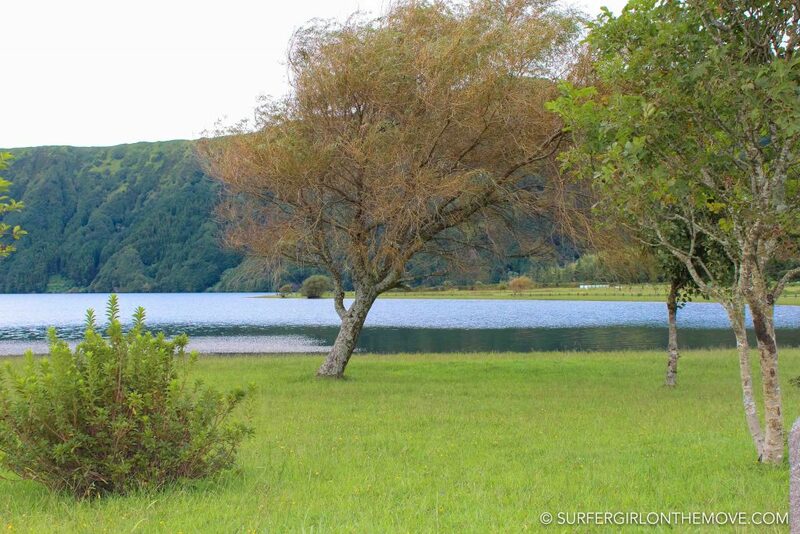 I have heard a lot about the Azores and it’s beautiful lakes but I have never visited. From your photos, the entire place looks amazing! The church is indeed very beautiful, I wonder how it was inside. Unfortunately, it was closed when we were there, so the interior still remains a secret to me. The lake looks absolutely stunning and I can’t believe the color. It is so sad that no one got to stay in the hotel. That view of the church is awesome as well. 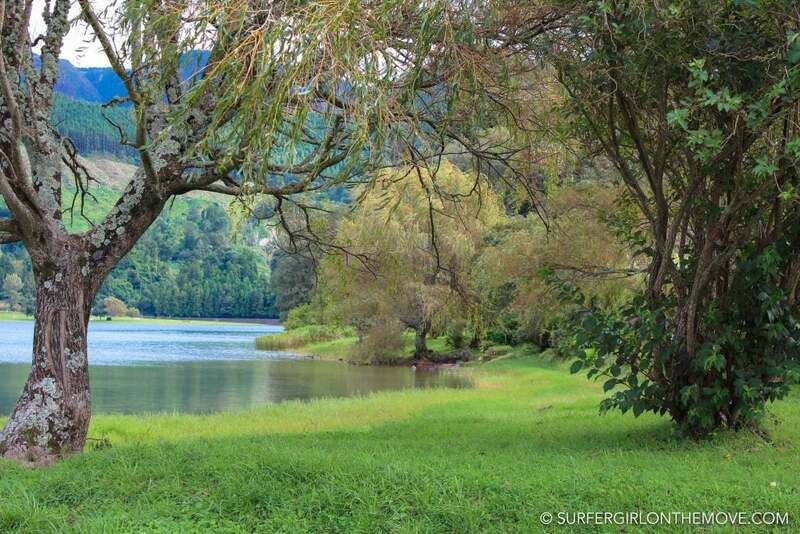 What a stunning landscape, the lake looks so fairy and peaceful. For sure it’s an awesome place to visit. I would love to spend there some relaxing time. Great post! What beautiful, picturesque photographs. Must have been such a peaceful trip! Oh wow, that crater lake is GORGEOUS! What an amazing sight. Beautiful photographs as well. It looks like you really enjoyed yourself. Sad you didn’t get to stay in the hotel, but the church looked amazing. 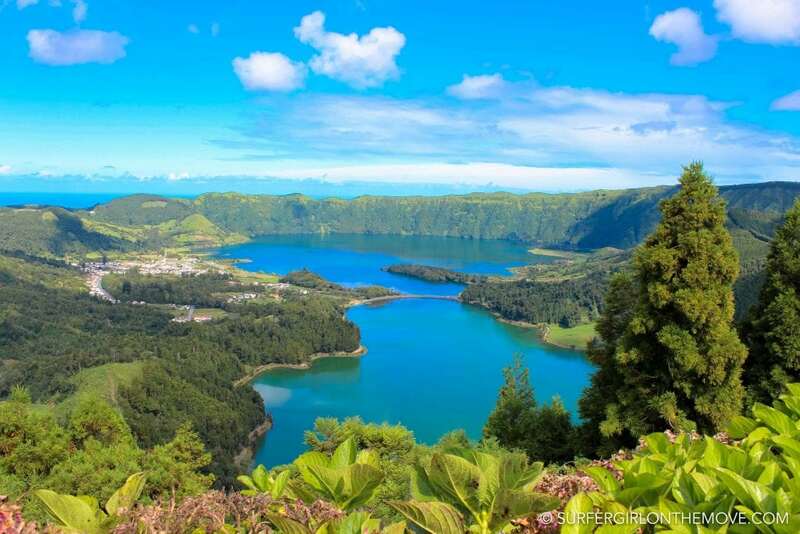 Seriously stunning, the Azores is high on my list when I manage to book a trip to Portugal. Such an underrated area which I’ve found not too many people know about! The Church of St. Nicholas really is quite stunning! So first off that view is on another planet! I cant even believe it! The landscape around it looks incredibly beautiful also. 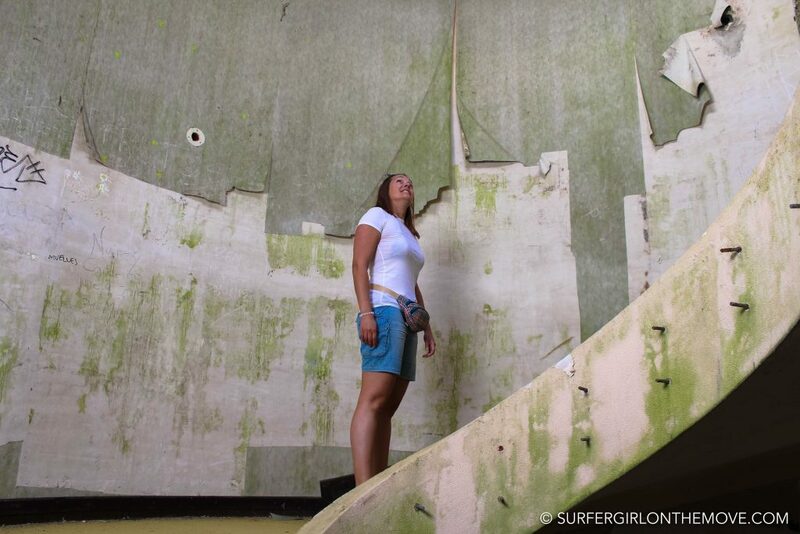 I love abandoned buildings! There is a giant one in the Cook Islands that apparently was being built by a mafia to launder money through and when they got caught it just stopped but they were so far along in the production it is amazing. This one looks pretty similar to that from what I can see. Eheheh that story is amazing, Dane. Thanks for sharing. I guess in this case it was just lack of money to end the project. What I heard is that the owners were bankrupt and the construction stoped, waiting for new financial investment. Unfortunately, until today. So beautiful! 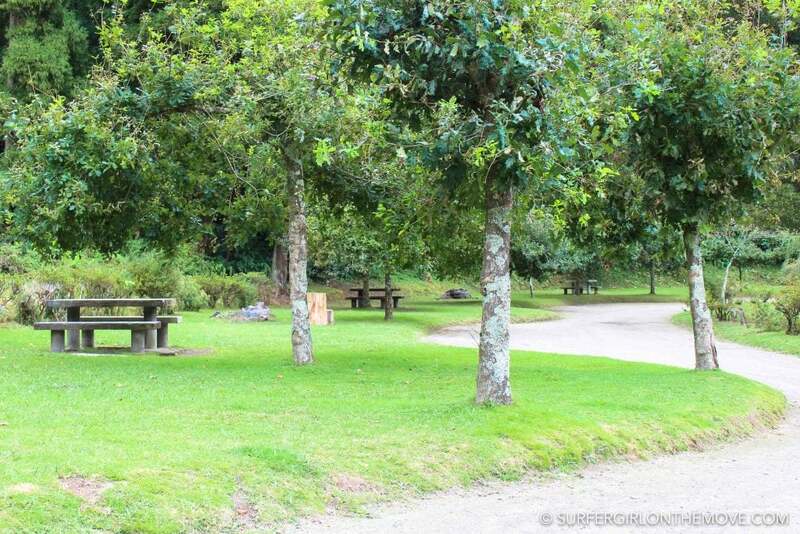 I love nature places like this! Have to been to New Zealand? You’d love it! Never been to New Zealand, unfortunately. But it most be beautiful! Would love to visit it one day. What time of the year did you take this trip? What a beautiful picture of Viewpoint. I loved the perfect contrast of blue water and green around it. The church too looks perfect. Sad to know that nobody stays at that hotel. Otherwise, it would have been a perfect land with perfect views around it.